So, if you haven't seen the social media and press coverage by now, last Sunday (Sept 23) from 0700-0930, Nissan unveiled to the Japanese public, at the Daikanyama T-Site Morning Cruise (think, Cars and Coffee) near Shibuya in Tokyo, their handmade one-off R35 made in conjunction with Italdesign, the GTR50! 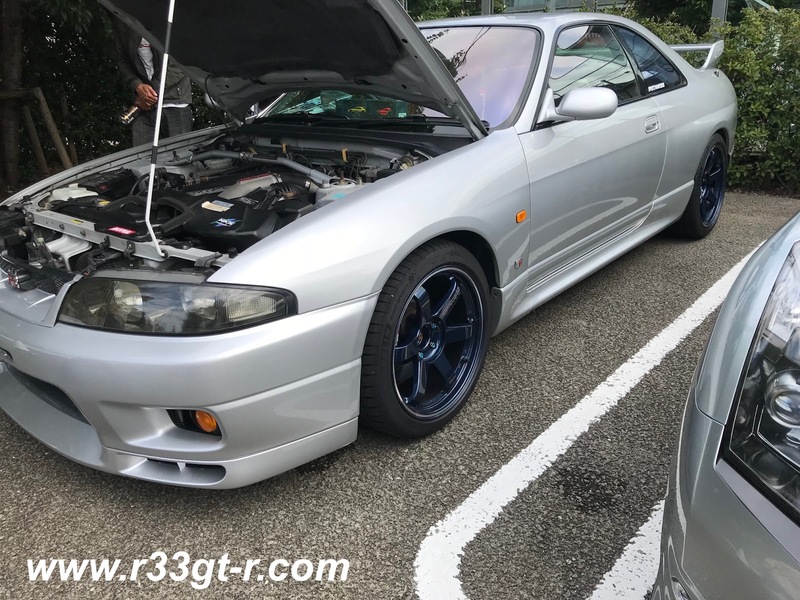 Of course, I am writing here because I was lucky enough to be invited by people at Nissan to display my R33 GT-R at the event. 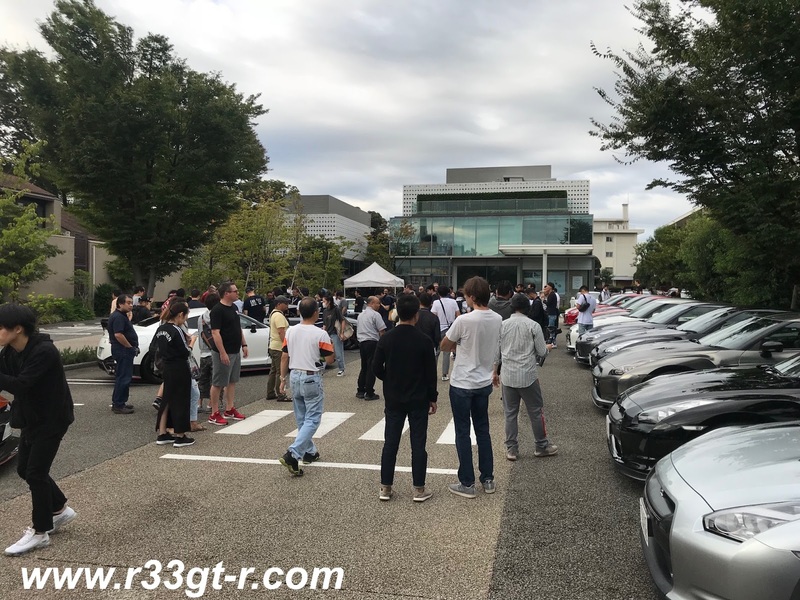 Obviously word went out to the R35 owners, who showed up en masse, but of course no GT-R event is complete without the historic models there as well. 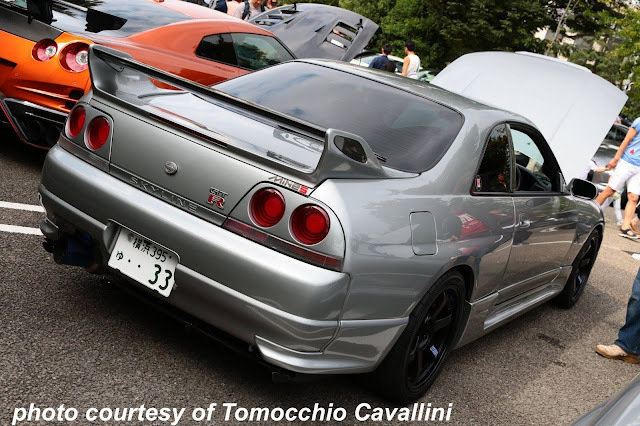 Obviously, Nissan agreed because they brought along their KenMary GT-R Racing Concept as well as the R33 GT-R LM homologation street car! Anyway, this invite is why I stayed up late the days before working on various things (coming in future posts! ), and how I discovered how my brake lights weren't working. Luckily as you read in the previous post the guys at Nissan Prince Tokyo Motorsports Factory quickly fixed the problem, but for a few minutes I was worried that I might not be able to make it to this event! So the day started early for me - even though the event itself began at 0700, Dan Passe from Nissan had told me that the Nissan crew would be there at 0600 setting up. 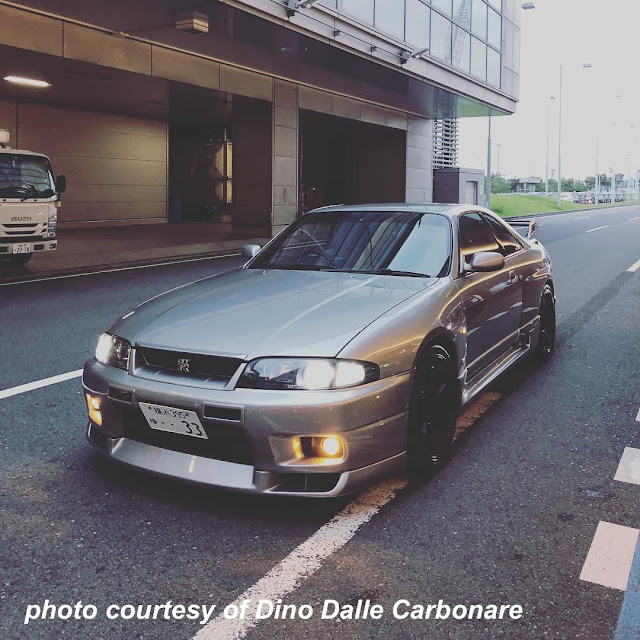 In addition, my buddy Dino had asked me to pick him up at Haneda airport at 0530 as he would be flying back from doing a press event for the new Nissan Altima. Hence the photo above. 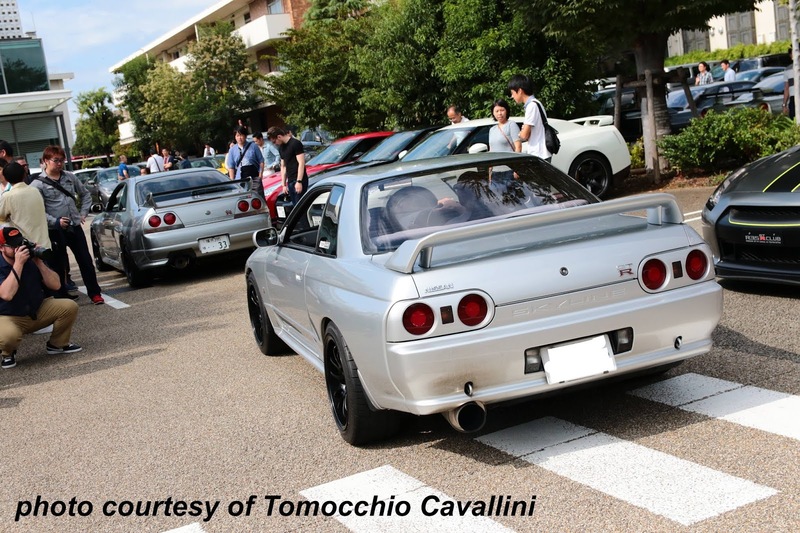 As we pulled into the Daikanyama T-Site parking lot at 0620, we were initially rebuffed but when told I was invited to display, quickly ushered in and told where to park. As we pulled in, I knew it was going to be interesting because there were about 5 people taking photos as we pulled in. Minor celebrity status? LOL. 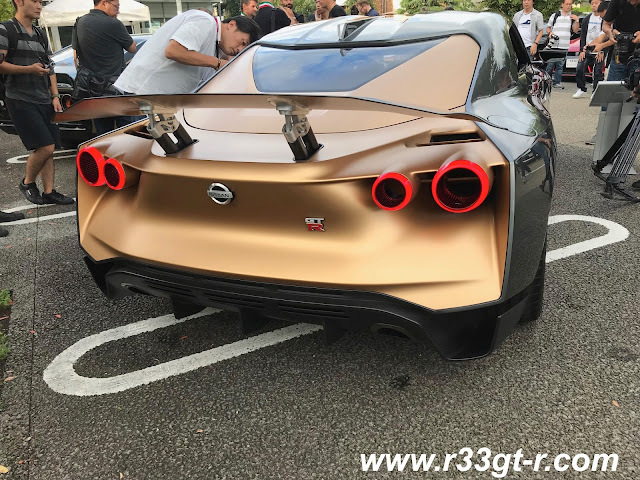 There was already a crowd forming around the GTR50, so I took a quick look - it's an interesting looking car and much better looking in person than in photos. Kind of like me! Lol. 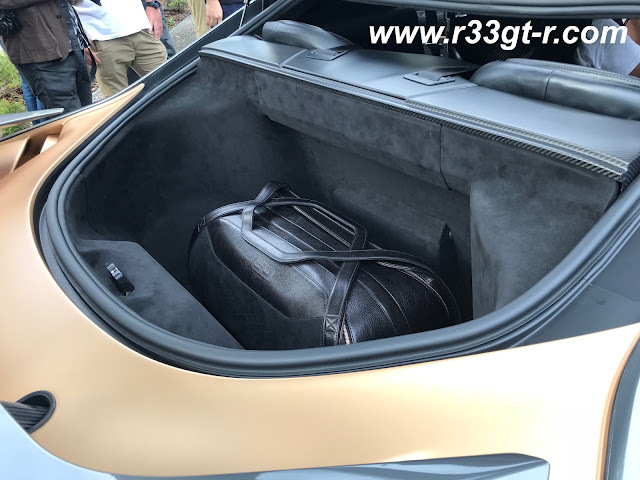 I was actually working on some fitted items for my car trunk as well (but the entire system got thrown out by Nakamura at WORX!!) but I will have to redo it in the near future. 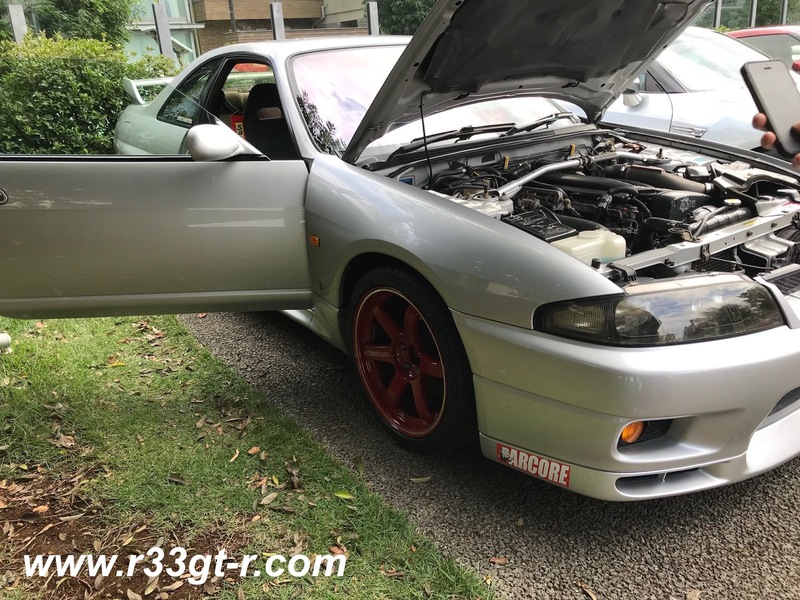 I ended up answering some questions about my car, and then I met two guys who knew who I was - one guy from Switzerland (Joel) and one guy from Germany (Amin). Both students, hope they have a great time in Japan! Then the guy who ended up parking next to me in his r32, Mischa, was someone who Dino knew and who pulled into the parking lot JUST as the Nissan guys were looking for a BNR32. So as you can see he parked next to me. 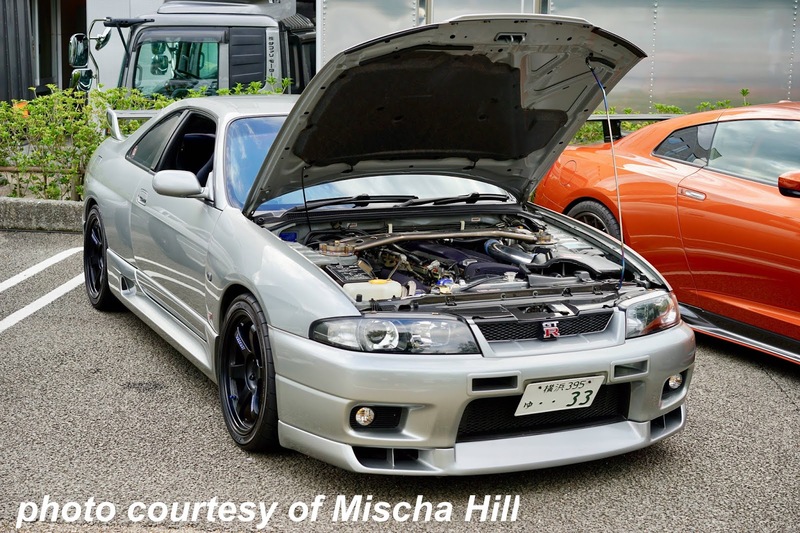 Mischa and I quickly checked out each others' rides - his car sports an engine made by Top Secret, and of course mine has the Mine's unit. 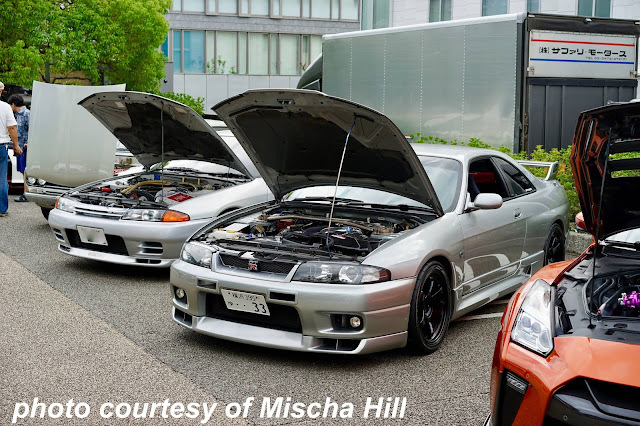 Incidentally, Mischa took many more photos and put them up on the "Tokyo Drivers Club" Facebook page, if you are interested. 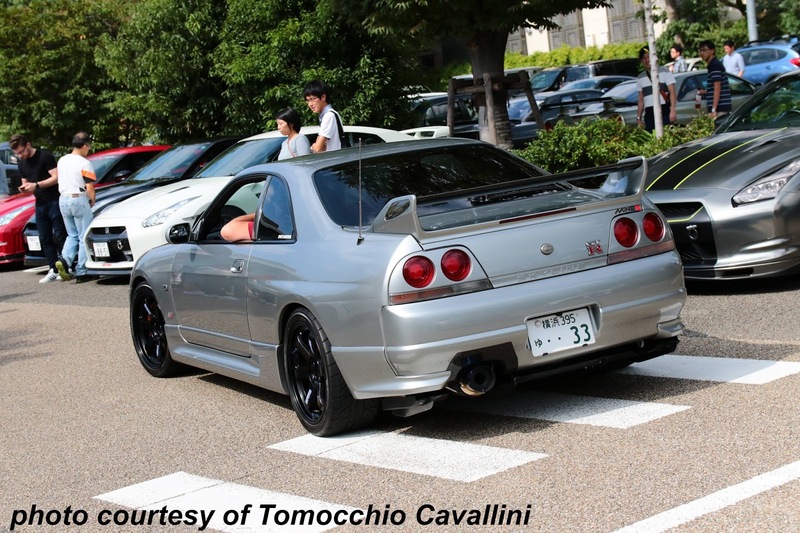 I also met a couple of other like minded R33 GT-R owners - Ken and Tomocchio (Japanese guy but Italian at heart?). Ken has a Series 3/Kohki like mine, but in "standard" form. Tomo, now this guy had a Series 1/Zenki, mostly standard as well, but what he did was VERY interesting. Tomo explained that "red is for passion, but blue is for cool" or words to that effect. 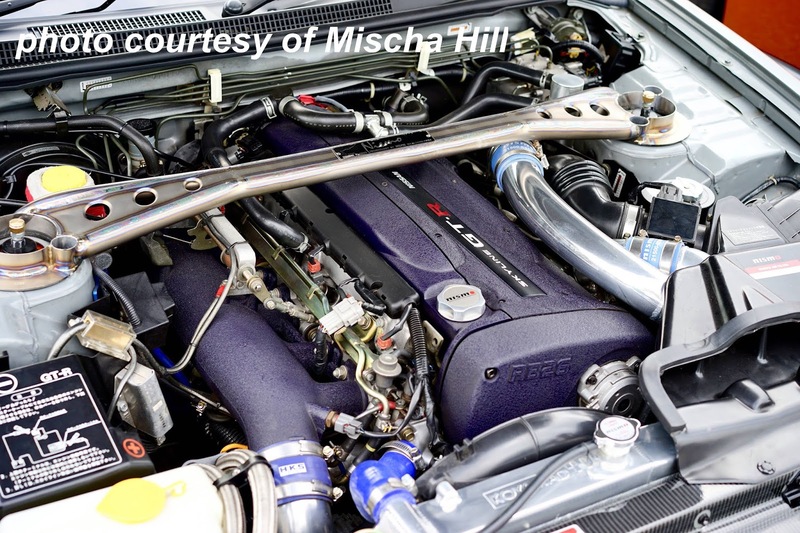 Have to give him credit for originality, although if I recall correctly some race cars used to have different (red/blue) colored wheel lug nuts (single mount) for left and right side. And again as we left a bunch of people (like the guy on the left there, crouching) was taking photos as our cars were leaving. Of course, most people were there to check out the GTR50, but I am glad that I was able to meet some other R33 fans as well as some others I haven't mentioned. You know who you are!